During the Intel Data Center Innovation Day 2019, the Santa Clara concern presented new processors representing the Intel Xeon Platinum server family. The top model with the designation 9282 has been equipped with as many as 56 cores. As Intel says, the new Xeon processors will be free from Spectre and Meltdown vulnerabilities thanks to a change in chip architecture, and will also receive support for Intel Optane fast drives. The CPU will also be equipped with Intel Deep Learning Boost technology that allows the use of artificial intelligence processes for machine learning. Of course, the new processors will not go to traditional store sales – even if it did, the prices of individual models are far from the reach of most of us. 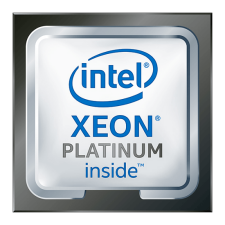 One of the weaker processors in this series – Intel Xeon Platinum 8280 – has been priced for over 10 thousand dollars.